Ladies Breakfast Sat 27th May! 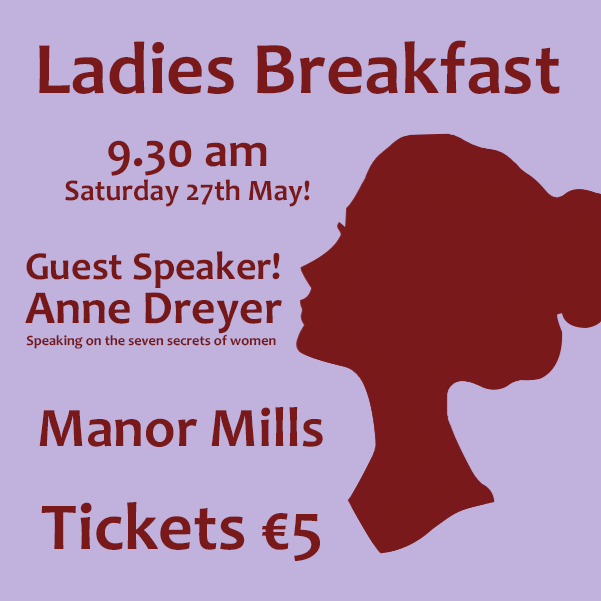 Ladies’ are invited to a special Breakfast event on 27th May at 9.30am in Manor Mills. Guest speaker is Anne Dreyer, an internationally acclaimed motivational guest speaker. Anne will speak on the Seven Secrets of Women. Tickets are on sale for €5.